Yesterday news spread like wildfire on social media claiming that Elephant Man was found drowned. 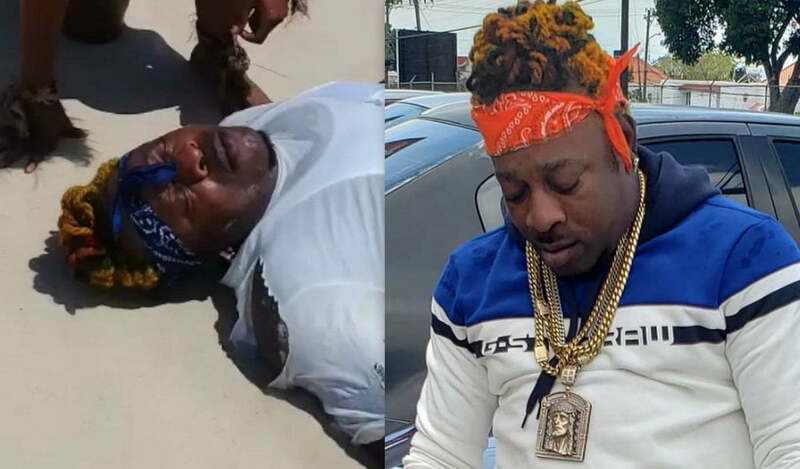 It turns out that the dancehall star was only shooting a music video for his single “Steep Pan.” The dancehall deejay released a few shots from the video shoot from a scene that shows him laying down on his back in the sand on a beach. A part of the narrative is that his body was washed up a shore close to drowning. A female would then found him and performed CPR. It seems that someone started circulating an image from the clip while claiming that Elephant Man had drowned which sent his fans into a panic. “People I am alive and well it’s just a video shoot look out for it,” Ele said.